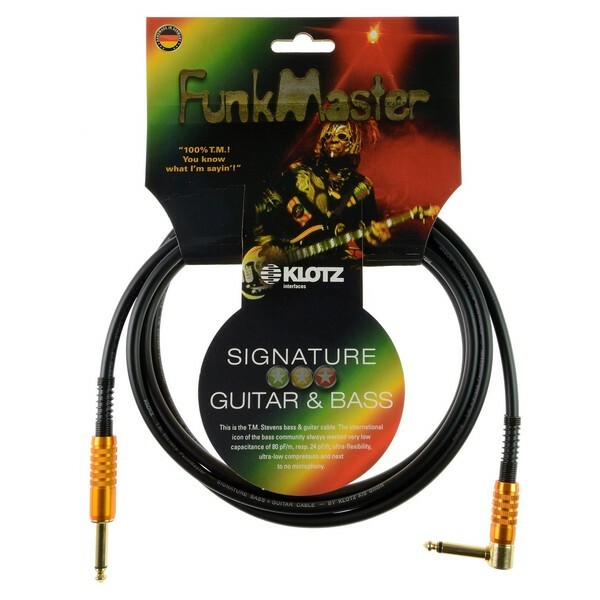 The Klotz FunkMaster Angled Guitar and Bass Cable measures 6 metres and is designed for electric and bass guitars with a 1/4'' jack. With superb attention to detail, the professional instrument cable delivers a funky, percussive response with an incredibly defined low end. 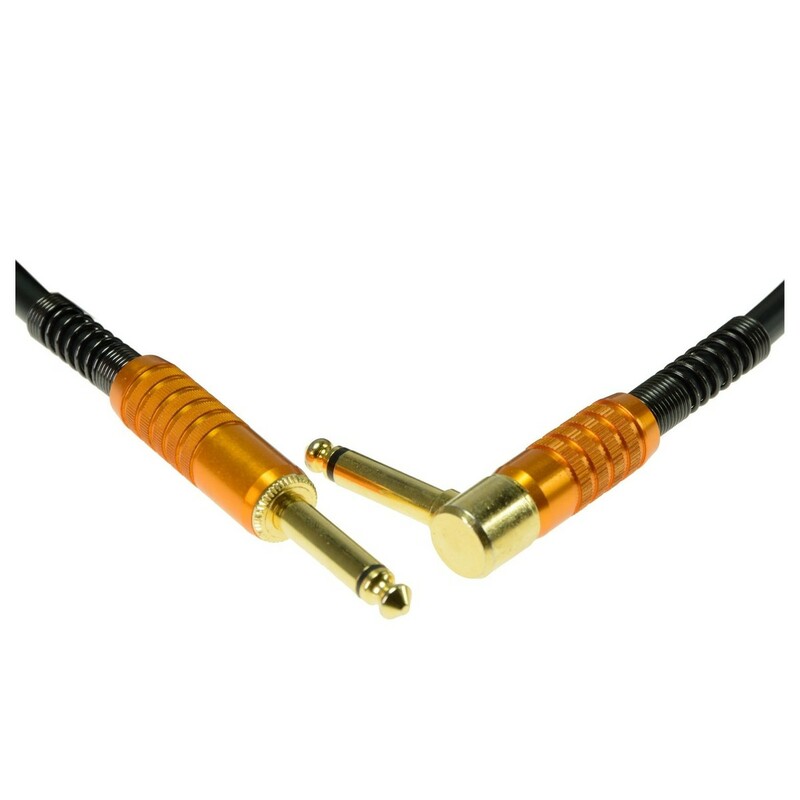 Ultra-low signal compression ensures there are no phase problems and the cable provides ultimate resistant against interference. The FunkMaster is both flexible and durable and also provides an ultra-low capacitance of 80 pF/m.